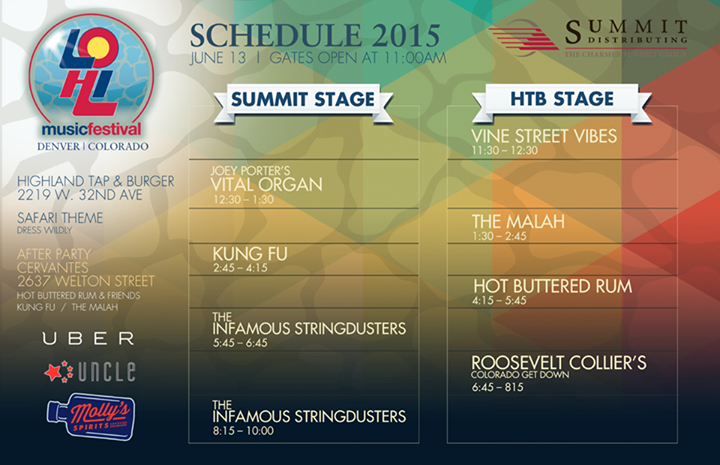 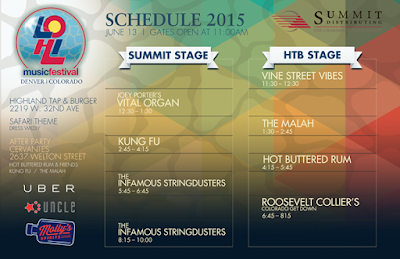 Join us on Saturday June 13, 2015 for LOHI Music Festival! The line-up includes The Infamous Stringdusters (2 Sets), Kung Fu, Hot Buttered Rum, Roosevelt Collier's "Colorado Get Down," The Malah, Joey Porter's Vital Organ & Vine Street Vibes! 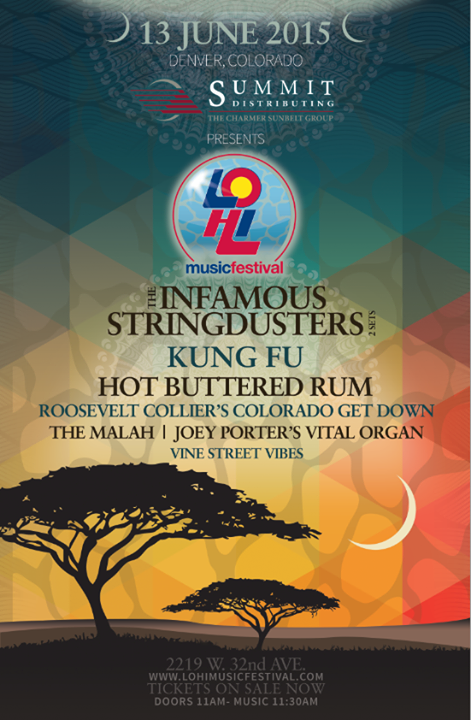 Tickets are available at www.lohimusicfestival.com!